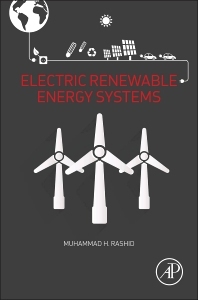 This derivative volume stemming from content included in our seminal Power Electronics Handbook takes its chapters related to renewables and establishes them at the core of a new volume dedicated to the increasingly pivotal and as yet under-published intersection of Power Electronics and Alternative Energy. While this re-versioning provides a corollary revenue stream to better leverage our core handbook asset, it does more than simply re-package existing content. Each chapter will be significantly updated and expanded by more than 50%, and all new introductory and summary chapters will be added to contextualize and tie the volume together. Therefore, unlike traditional derivative volumes, we will be able to offer new and updated material to the market and include this largely original content in our ScienceDirect Energy collection. Due to the inherently multi-disciplinary nature of renewables, many engineers come from backgrounds in Physics, Materials, or Chemical Engineering, and therefore do not have experience working in-depth with electronics. As more and more alternative and distributed energy systems require grid hook-ups and on-site storage, a working knowledge of batteries, inverters and other power electronics components becomes requisite. Further, as renewables enjoy broadening commercial implementation, power electronics professionals are interested to learn of the challenges and strategies particular to applications in alternative energy. This book will bring each group up-to-speed with the primary issues of importance at this technological node. This content clarifies the juncture of two key coverage areas for our Energy portfolio: alternative sources and power systems. It serves to bridge the information in our power engineering and renewable energy lists, supporting the growing grid cluster in the former and adding key information on practical implementation to the latter.